How to understand and combat the effects of low-self esteem on your life. Self-esteem is the attitude we choose to have towards ourselves. It is composed of the beliefs we have about ourselves as well as the value we assign ourselves. Low self-esteem is when an individual has the distorted idea they have little value to offer others and the world. It involves having many negative thoughts and beliefs about oneself. 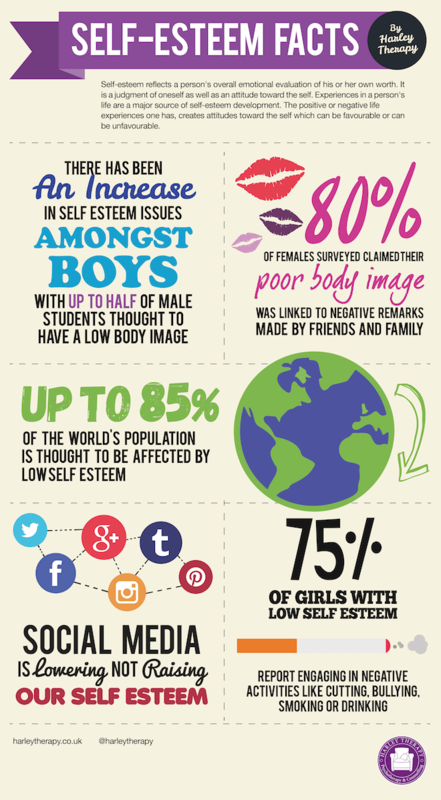 Why is a lack of self-esteem a problem? Individuals with healthy self-esteem are likely to perceive themselves as a worthwhile and good person. They know their strengths and skills and are proud of their accomplishments. They will have enough belief in themselves to try out new things, set and reach life goals, and to cope well in challenging situations. Those with low self-esteem are more likely to overlook their strengths and focus on their weaknesses, downfalls or perceived failures. Deep down they might think they aren't such a good person. This causes difficulties in setting and achieving goals, leads to challenges setting boundaries with others, and means that relationships can be problematic. Low self-esteem is not a mental health condition in and of itself, but it is strongly linked with depression and anxiety. In fact so many cases of depression come hand-in-hand with low self-esteem psychologists still debate which one of the two leads to the other. At its heart, low self-esteem is caused by a set of negative core beliefs. Core beliefs are ideas we develop about ourselves and the world as a child. They can be so entrenched in our way of thinking we don't even question their validity unless as an adult we realise our life is not going as we want and decide to explore and understand ourselves. Examples of core beliefs that an individual with low self-esteem might have are, “the world is a dangerous place”, “I can never get ahead no matter how hard I try”, or “you have to deserve love and I don't”. Low self-esteem can be triggered by experiences we have as an adult, but generally this is because the experiences build on the core beliefs about ourselves we already have from childhood. This is why if two people experience the same trauma, one will suffer a diminished sense of self and the other will recover quickly. An individual will of course have a unique set of life experiences that lead to having low self-esteem. An unstable upbringing. This can include not feeling safe, protected, and/or loved. Critical caregivers. Including parents, guardians, and/or teachers who were excessively critical and demanding of you. Abuse as a child or adult including mental, emotional, physical and sexual abuse. Traumatic life experiences such as major illness, losing a loved one, or adoption. Demanding environments which can be a school or workplace that causes you high levels of stress. Unhealthy relationships which can be both romantic or platonic but involve being controlled, manipulated, belittled and/or lied to. Bullying or discrimination or any other form of stigmatisation. Comparing ourselves to others excessively and often, including comparing ourselves to people in the media. Lack of social support can leave one feeling lonely which then lowers esteem. Inbuilt temperament might play a part, meaning you are prone to emotional sensitivity. Depression can cause self-esteem, although it is more common that low self-esteem causes depression. Regardless, the two generally come hand-in-hand. Certain mental disorders are prone to cause low self-esteem, such as borderline personality disorder, avoidant personality disorder, and anxiety disorders. What is the difference between low confidence and low self-esteem? It's easy to confuse low self-esteem with confidence issues. Low self-esteem is not the same as low confidence. Low self-esteem tends to be unconscious as it is created by our deep core beliefs, and it affects everything we do. Low self confidence relates more to our conscious thinking about how we can handle things, and can vary with each situation we find ourselves in. You can suffer from a lack of confidence but still have good self-esteem. For example, you might be terrified of public speaking, hate first dates, and not like to dance in front of people. But if you still feel you are a good person who has things to offer the world, you are only suffering from low confidence in some areas of you life. On the other hand, some people with low self-esteem can come across as very confident, able to do things well even as deep down they beat themselves up for not being perfect. Some of the most successful amongst us admit to having low self-esteem. They might be a famous actor, or a successful business man, but if deep down they don't feel worthy of love or like they are a good person. Sometimes they push themselves so hard to well out of a belief they must 'prove' they are valuable, when in reality, each individual is valuable regardless of their achievements. Low self-esteem is not a mental disorder per se. You do not need a doctor to give you a diagnoses, and you can usually diagnose it yourself. But if you feel your low self-esteem is making it difficult to function in your everyday life it is recommended to seek the help of a health care professional like a counsellor or psychotherapist (you can find a counsellor who deals with self-esteem here. You can see a professional privately, or talk to your GP who can refer you to an NHS-based provider. A mental health professional can help you identity why you have low self-esteem and show you ways to move towards a sense of worth. Low self-esteem can be related to other mental health conditions and a professional can diagnose if yours is connected to depression, anxiety, or self-harm, or disorders like anorexia, bulimia, binge-eating disorder, borderline personality disorder and avoidant personality disorder. What if low self-esteem is not addressed? A lack of self-worth can make all areas of life difficult, making it hard to set and achieve goals that move your forward or take on new challenges that make life interesting. In relationships, you might find it hard to trust others, which can you leave your friendships and romances difficult and lead to loneliness and social isolation. It's also harder to set boundaries if you lack self-worth leaving you open to being manipulated and developing codependent behaviours. Low self-esteem can leave you too shy to create friendships with people you want to know. At work, you might end up in jobs that are too easy for you or you don't like because of not having the confidence to go after what you want, or might end up drained and exhausted from an inability to say no to a demanding boss or co-worker. Health wise, low self-esteem can lead to self-sabotaging behaviours including eating disorders, self-harm, and addictive habits like using drugs or alcohol. And over time, untreated low self-esteem almost inevitably leads to increasingly low moods. It is a leading symptom of depression. Talking therapies all tend to be useful for increasing self-esteem because they help to identify core beliefs and discover at what point in life or childhood such beliefs were formed. You can find a self-esteem counsellor here. Cognitive behavioural therapy (CBT) is a talking therapy often recommended for low self-esteem because of its focus on recognising the way thoughts affect our actions and choices, and for its practical methods that help individuals manage negative thoughts. Mindfulness is a tool that many therapists now integrate that helps an individual become more aware of how they truly think and feel and helps them to develop a greater focus and appreciation on the experiences they are presently having. Group therapy or support groups can be very helpful when it comes to learning self esteem. 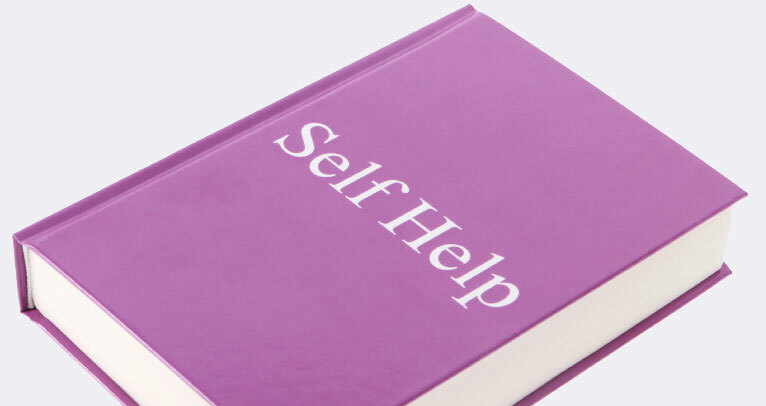 Self-help is also very useful. There are excellent books, forums, and online resources now available to help you boost your esteem (see our recommended resources below). How long does it take to get over low self-esteem? There is no quick fix for low self-esteem. Don't forget, your sense of self was developed over many years, and has been deeply entrenched in your unconscious ever since. Changing your self-esteem is therefore an ongoing process, and how quickly you can raise your esteem will depend on the commitment you make to yourself and the work you decide to put in. On a good note, there is excellent information, resources, and support available nowadays for those who are ready to recognise their value. How can I build and improve my self-esteem? The following are tools and suggestions that can help build self-esteem. Focus your attention on your strengths. Make a list on paper of your skills, positive qualities, and things about yourself you like. This can include but is not limited to personality traits, achievements, and hobbies you do well at. If possible ask someone you trust to help you identify some of your positive traits. Keep adding to the list as time goes on, and take time to read it over weekly or whenever you are challenged by negative thoughts. Up your self-care regime. Taking better care of your physical health is a way value yourself and show yourself respect. Eat well, allow yourself to wear clothes you feel good in, and exercise, which is proven to elevate moods. Is this fact or my opinion? What are the disadvantages of this thought? Am I trying to predict what will happen instead of being open-minded about what could happen? What is a more balanced thought I could choose to have instead? Try a different perspective. If you are feeling low over a situation you are convinced did not go well, it can help to imagine you are someone else. What would your best friend say if she had been watching? Or even your older self aged eighty, would they be as judgemental? Identify and set goals. Ensure they are realistic goals, but not so safe they do not challenge you. Break each goal down into manageable steps and set a time limit within which you will achieve it. Spend more time doing what you are good at. Identify what you do well and consider doing more of these things. Spend more time with positive people. It's easier to feel good about ourselves if we choose to surround ourselves with others who respect and appreciate us. Learn assertiveness. Saying 'no' is an art form that anyone can learn and can help those with low self-esteem set much needed boundaries with others. Learn to communicate how you feel. Low self-esteem can cause sufferers to think that sharing how you feel causes arguments. But proper communication can lead to stronger relationships. Once you learn how to communicate in a helpful manner it is incredibly empowering to share your true thoughts and feelings with others. There are many trained professionals who will be able to support you such as life coaches, counsellors, psychotherapists, psychologists and psychiatrists. Counselling and psychotherapy clinics - search through online directories for one in your area. Harley Therapy is one such private practice in London, UK. Most workplace insurances now cover visits to a therapist, enquire with human resources at your organisation. Mental Health Charities - organisations such as MIND, Rethink, Young Minds, and the Mental Health Foundation may provide support groups, therapy and advice in your local area. Support Groups – you might also want to call your local council to enquire about support groups in your area. Note: This Guide has been produced by Harley Therapy. It is subject to the usual disclaimers, and is copyright. You can reproduce it if you attribute it to us via a working link to this page. Otherwise, feel free to share this on social media using the available 'share' buttons.